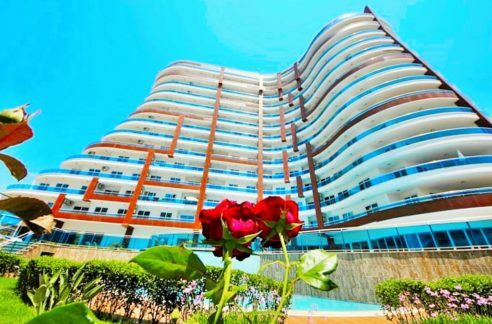 Penthouse duplex Property for sale in Alanya Mahmutlar Turkey 129.000 Euro. 233 m2, 5 room, 3 bathroom, 300 m to beach, 11.Floor, Air Conditioned, American Kitchen, Balcony, Beach 300 m, Caretaker, Central, Ceramic Floors, Close to beach, Fitness, Fully Furnished, Garden, Guest – WC, Indoor Swimming Pool, Jacuzzi, Lift, Luxury, Mountain View, Nature View, Panorama, Parking, Penthouse Property, Private Sauna, PVC Windows, Roof terrace, Satellite connection, Sea View, Sea View from terrace, Security, Swimming Pool, Table Tennis, Tennis Court, White Goods, Year Built 2007. 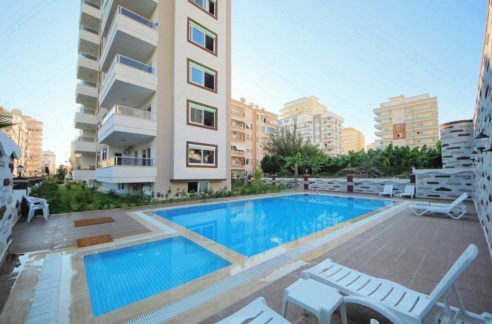 Here we offer a good opportunity to fulfill the dream of a penthouse apartment in a central location on the Turkish Riviera – whether for holiday or longer stay. In the immediate vicinity you will find everything you need for daily use,retailers, banks, post office, pharmacy, doctors and of course, restaurants and charming local cafes. Great shoppingand bazaar twice weekly with the freshest fruits and vegetables from the surrounding area. Do you want sand between your toes, it is only 500 m from the beach. 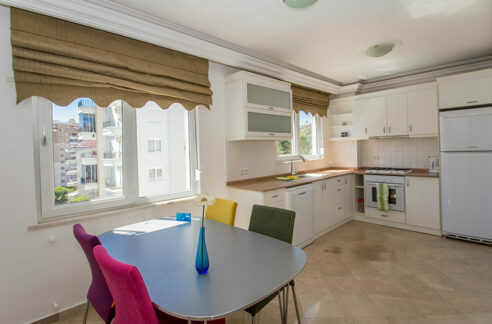 The apartment is offered fully furnished with comfortable quality furniture, appliances and airco in all rooms, indoor andoutdoor hot tub and sauna. Complex was completed in 2007 and is well maintained and has professional management. Here one has thought about the most, and the residents and their visitors have access to wireless internet, TV-SAT connection, a largeoutdoor pool with nice sun deck, fitness room and a tennis court. The resort has two lifts and a generator in case ofpower failure. A pleasant and efficient caretaker attends maintenance of the common facilities. If you have a car, there are naturally parking at the facility. 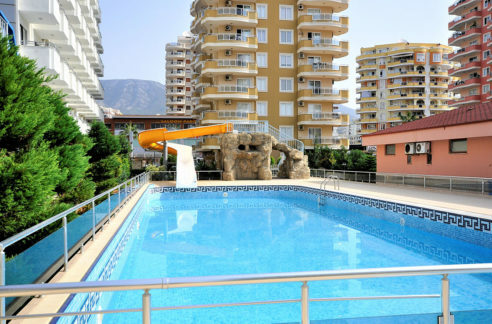 Alanya Real Estates Alanya Real Estates » Properties » Penthouse - Duplex » Penthouse duplex Property for sale in Alanya Mahmutlar Turkey 129.000 Euro. 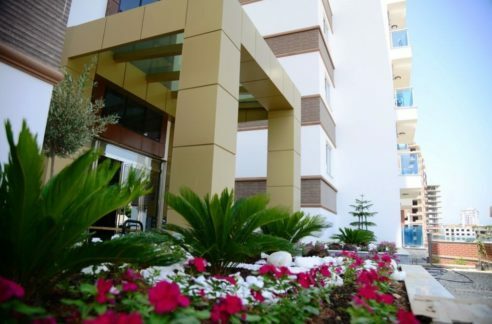 275 m2 Duplex Penthouse for Sale in Alanya Tosmur Turkey 185.000 Euro. Private home for sale in Alanya Turkey 119.000 Euro.